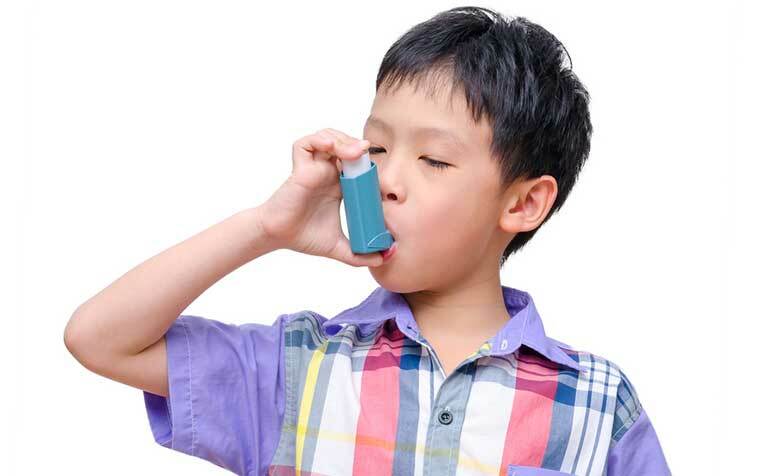 ​Does your child have asthma? Here are tips from KK Women's and Children's Hospital on how to better manage your child's condition. ​is very common in Singapore and around the world, affecting about one in five children. KK Women's and Children's Hospital (KKH), a member of the SingHealth group shares tips on how to manage asthma in children. Asthma is a chronic inflammatory disease of the lower airways of the lungs. It is very common worldwide. In Singapore, about one in five children has asthma. During an asthma attack, exposure to triggers result in inflammation of the airways. The airways become narrowed and clogged with mucus. Inflammation may still be ongoing even if you do not observe any signs or symptoms. Preventers: These work slowly to control the chronic inflammation, making airways less sensitive to triggers. Use these medicines/inhalers daily unless instructed to stop by the doctor - this is important in the management of asthma. Relievers: These work rapidly to open the airways, providing quick relief of asthma symptoms. They should only be used when needed. All metered-dose inhalers (MDIs) should be used together with a spacer as children may not be able to coordinate the inhalation process properly. Try to get the child to rest during acute phases. Is drowsy, unresponsive and lethargic, or irritable and difficult to calm. Always remember to bring your inhaler, spacer and action plan every time you visit the clinic or hospital. Do not use scrub or tissue paper to clean or dry the spacer.